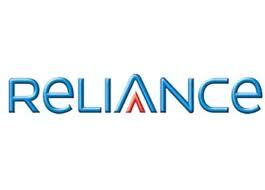 Reliance is one of the top mobile network carriers of India. Reliance offers various internet packs for its Postpaid and Prepaid users. Following are the internet plans for prepaid and postpaid users of Chennai. Reliance offers internet packs for both GSM and CDMA users as well as prepaid and postpaid. But in this article you can only find data plans of reliance for chennai users using GSM Prepaid and Postpaid. To check CDMA prepaid and postpaid internet plans you can view related article here. Internet GPRS Plans For Postpaid Users: For those, who use postpaid reliance SIMs, can use internet on their mobile phones via Reliance special postpaid plans. Reliance offers All Share plan for postpaid customers in which the customer will get 3 GB of free 3G data. There is one another plan for GSM Postpaid users of chennai. Reliance offers postpaid plan in which user also get to access internet and download and surf data. Although, this plan is limited. Full details about this plan are given below.